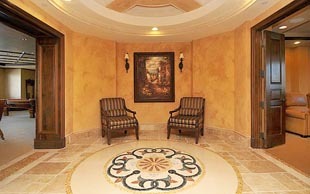 Regal is a succinct but a so apt description for La Bellasara condominium in Sarasota, Florida. Even its location on Golden Gate Point, a twenty-two-acre peninsula by the picturesque Ringling Bridge, rings of royalty as well as luxury. 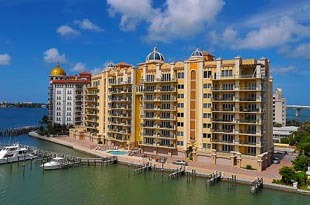 Easily, this Sarasota condo development can be ranked among the most premium of all condos in the city. Its imposing and distinctive façade too is a landmark that would be hard to miss in the area close to the city’s downtown district. 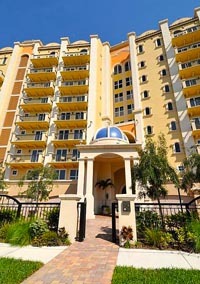 Built in 2005, this gated condominium consists of twenty-nine units sharing the 464 Golden Gate Point address. Their expansive floor areas of between 3,100 square feet and 6,600 square feet indicate the luxurious appointments and features of each unit. An asking price of around $2.2 million can be the starting point for negotiation on the La Bellasara conds for sale with a floor space of 3,135 square feet, three bedrooms, and three bathrooms. The listed price of condos for sale at La Bellasara can go up to as high as $6.5 million for a residence with a floor area of 6,066 square feet. Luxurious facilities common to all residents come along with ownership of any of the La Bellasara condos for sale in this community. Each property comes with a two-car garage. Its residents have access to private boat docks, and they can also avail of twenty-four-hour concierge service. The leisure-oriented facilities in the condo include a heated pool and spa, a multi-media entertainment room, catering kitchen, a social center, and a billiard room. The condominium’s proximity to the city’s downtown provides many advantages. La Bellasara residents, for instance, are just blocks away from many of the enriching arts and cultural centers of Sarasota. Some of these are the Van Wezel Performing Arts Hall, Florida Studio Theater, Ringling Museum of Art, and the Golden Apple Dinner Theater. Refreshing nearby venues for outdoor activities is as plentiful. The Marina Jacks Trail, for example, is only a few minutes away from the condo, offering an expansive area for such simple pleasures as a leisurely stroll or quiet sightseeing by the bay. The nearby downtown area is also host to charming local restaurants, like Ceviche Tapas, Bijou Café, Mattison’s City Grille, and Hyde Park Prime Steakhouse, which too help mold the endearing lifestyle of Sarasota. An eclectic mix of shopping venues is, moreover, within easy reach. Among these are the Whole Foods Market for daily sundry items and the St. Armands Circle for the chic and trendy wares. A simple crossing across the Ringling Bridge, in addition, leads to the myriads of pleasures at the beach resorts of the Bird, Lido, and Longboat Keys, which too help set the beat of daily life in Sarasota Florida.